Mr. Lloyd William Balaque, 78, of Elizabethtown, KY died on June 22, 2018 at Hardin Memorial Hospital in Elizabethtown. Mr. Balaque was a native of Fulton County, OH and the son of the late Lloyd and Velma Black. Mr. Balaque was a veteran of the US Marine Corp and a member of the Marine Corp League. 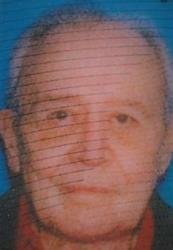 He is survived by his wife, Nancy Balacque of Elizabethtown, KY.